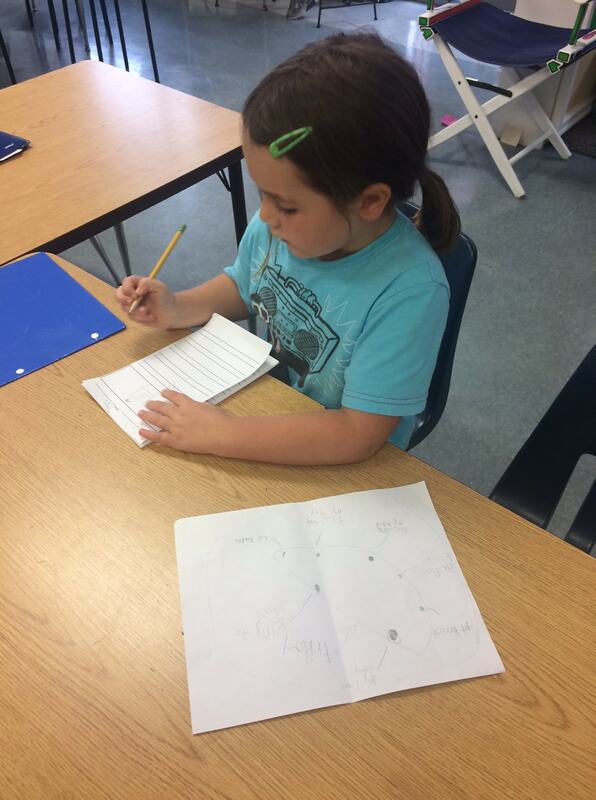 A first grade journey at Robinson Elementary School. Chugging Through October . 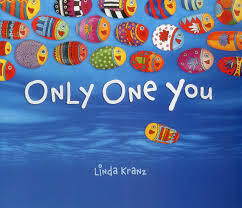 . .
Tell me about the book – Possum Magic – that your class read this week for the Global Read Aloud. Who were the main characters and what was the problem? How did the main characters solve the problem in the story? 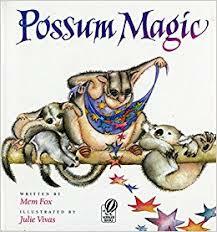 Which book did you like better: Koala Lou or Possum Magic. Why? This week, your school honored disABILIY week in many ways: reading books in the classroom, putting up ribbons around the school, wearing specific colored clothes to honor specific disabilities, and walking during recess. Tell me about some of your favorite activities and why. What is something you learned that was NEW to you about disabilities? Learning Buddies. It is always such a wonderful experience to watch our fourth graders mentor and guide the first grade learners in our community. When we met, we had an art project we needed to complete for the upcoming celebration for the Outdoor Learning Center. 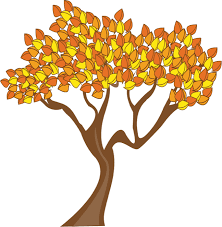 (As a reminder, the celebration is taking place on Tuesday, October 24 at 9:00am.) One of the activities that will take place on this day is that EACH child at Robinson will place a painted rock in our outdoor river bed so we can each make our mark in our OLC for years to come – hopefully 20+! 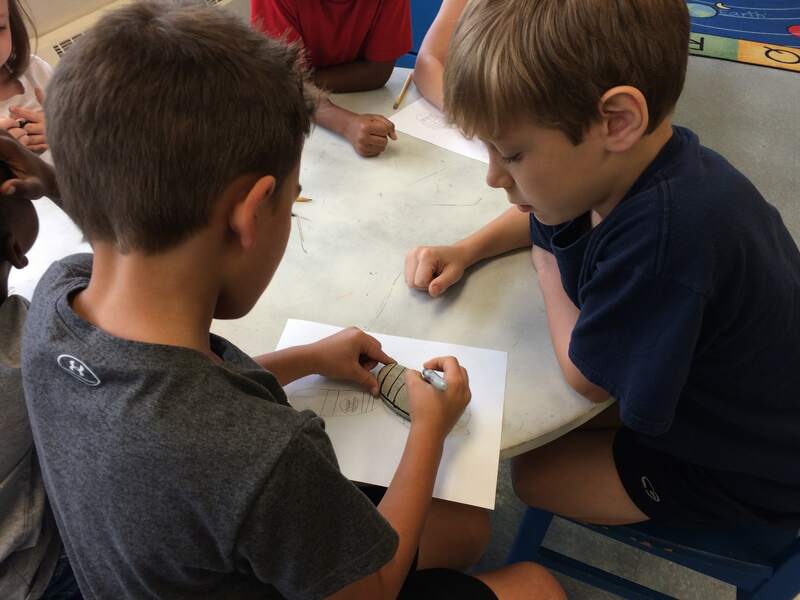 After reading the book, Only One You, we made a plan for our rocks with our fourth grade buddy and then traced them on the rock with marker. Check out some of this buddy work in action – it’s awesome! 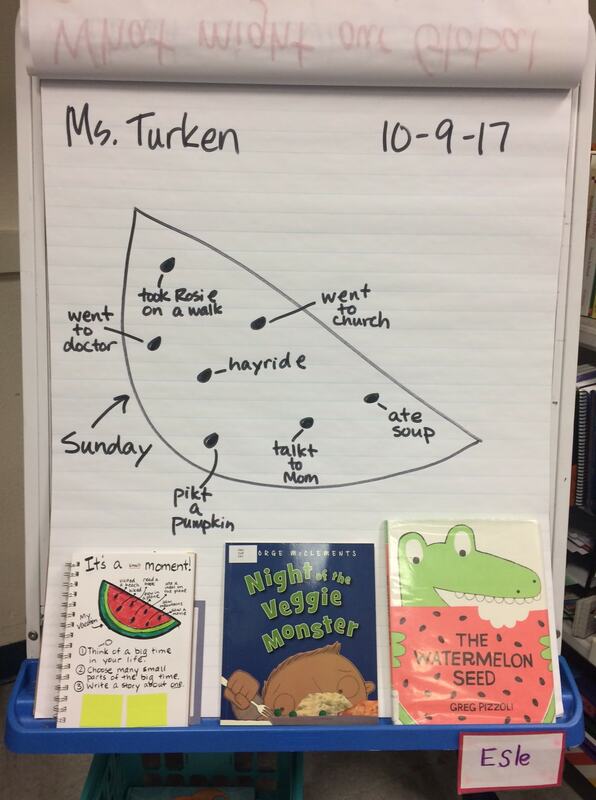 Writing – Watermelon Seeds: One of the things that our first grade writers are working on doing is choosing a writing topic which shows a small moment story in his or her life. This week, we worked to make sure that our stories were really about small moments, rather stories from BIG events in our lives. 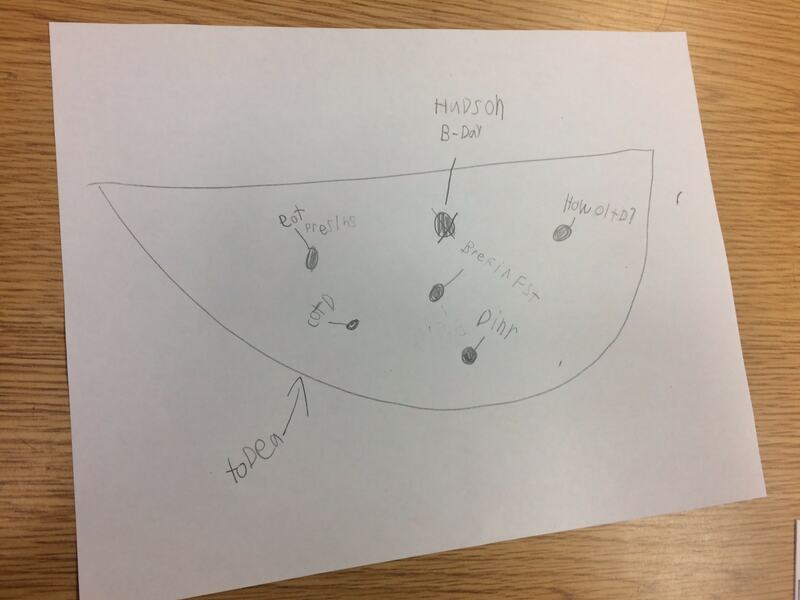 In order to make this more clear in first grade, we used the analogy of a watermelon. The watermelon represents the big moment and the seeds represent the small moments that make up the big moment. We want first graders to focus on writing small moment stories in order to write more about the details in the story. Some of the questions we ask as authors of small moment stories are: Who was there? What happened? Where did the even take place? Why did it happen? Check out a few of our watermelon and seed ideas in the photos below. Here is an example of MY watermelon and seeds. Now I have A LOT of ideas for a story! 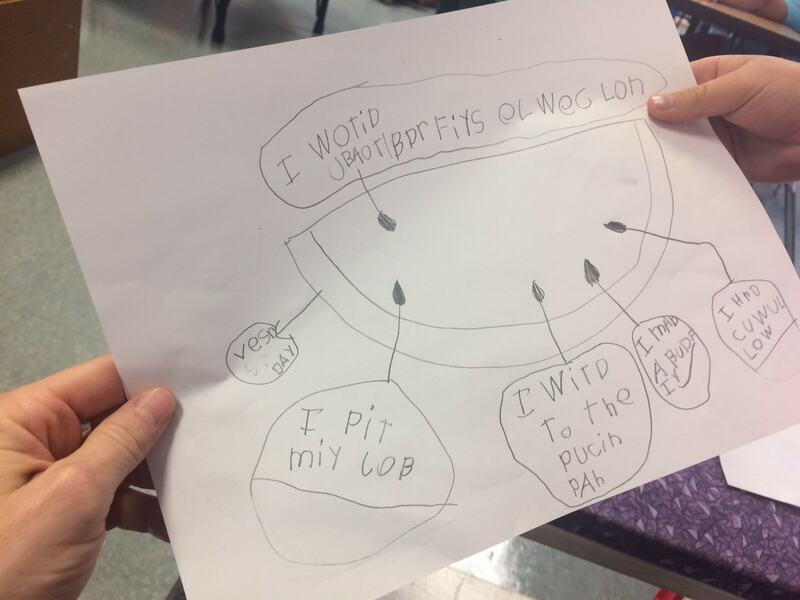 Eva worked hard to write a story from her seed idea. 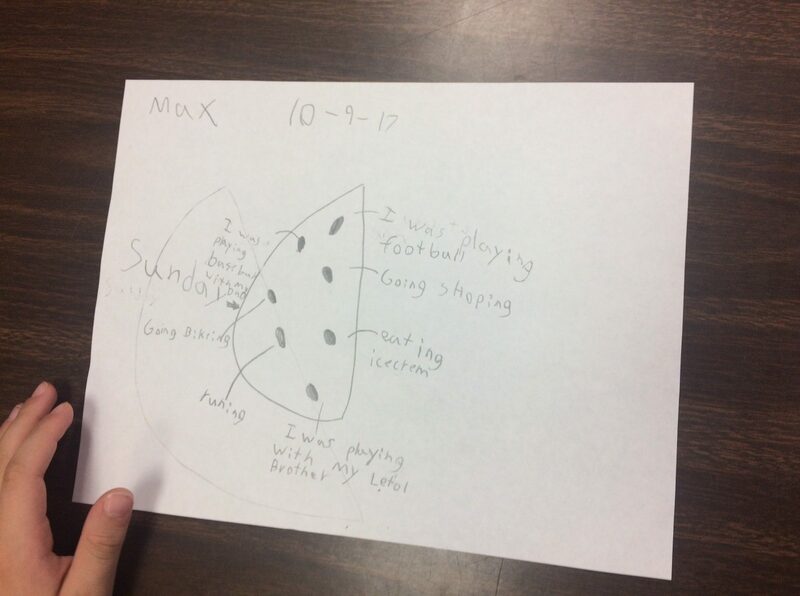 Max came up with a lot of story ideas after he made his watermelon! Check out this awesome watermelon and a lot of story ideas! Another watermelon with lots of story ideas! Look at this author – hard at work! Science – Exploring Light and Sound: We continued discovering sound this week and learned so much as we explored “sound stations” in the room. These stations included: rubber bands on objects, musical instruments, metal water bottles, and stethoscopes. We also had “light stations,” which included: colored lenses, mirrors, spectroscopes, and flashlights. Your first grader learned SO MUCH about light and sound through exploration – it was such fun to talk about the things we noticed after our exploration time. We continue to discuss these important concepts, while thinking about how sound and light can be changed and why these changes happen. 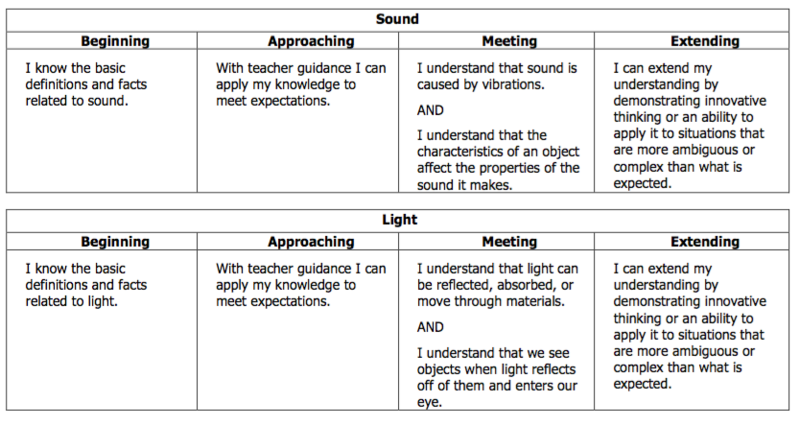 These are the rubric descriptors we are using to check our goals as scientists as we learn about light and sound. A Smile for You: Does this work at the end of the post? I have no idea if this last photo makes you smile, but it ALWAYS works for me – producing both a smile on my face, as well as inside my heart. Well . . . here is another great photo from this week. Hope it makes you smile from the inside out! Have a great weekend with your first grader!